Wooden Worktop Care Guide | Kitchen Worktop Fitters Specialist Worktop Installers - UK Kitchen Worktops . Solid hardwood kitchen worktops provide a natural beauty to your kitchen that is hard to beat, no other form of kitchen work surface has the timeless beauty and warmth that a real solid wood worktop brings to the kitchen. One of the main advantages of a wooden worktop is that while other work surfaces age badly through use, losing their original splendour, wood gains in character , becoming richer and deeper in colour over time and becoming a part of your home in a personal way that other materials will not. A solid wooden worktop also has the benefit of being solid all the way through. This means that if you mistreat and care for the worktop badly any surface damage or scratches can easily be sanded away to reveal a fresh new surface. When you receive a worktop from us it will have been carefully sanded to a super smooth finish and will require a surface treatment to make it hard wearing and give it a long lasting and tough finish to keep it looking good through the years of wear it will receive in the heart of your home. The best finish for a solid wood worktop is oil. Oil adds depth and character to the wood that varnish and lacquers can't match, it is also simple to apply and easy to resurface should you allow the worktop to become tired looking and gives the wood a water resistant finish. From new the worktop requires two liberal coatings of oil on the underside and the edges that will not be seen, this is to balance the worktop and stop it from bowing, no particular care to the application of oil should be given here as the underneath will not be seen. The top and front sides should receive 3 to 5 light coats, with maybe a very light sanding or wire wooling in between. The oil is best applied by pouring a little oil directly onto the worktop and spreading in the direction of the grain with a lint free cotton cloth, a pad made from an old clean T-shirt is ideal. The oil wants to be applied in a thin, even and consistent film across the surface. Don't worry, this is very easy to achieve even for the least practiced DIYer. After you have applied the coat of oil, leave for about 10 minutes and then with the same cloth without applying more oil, go over the entire surface to ensure an even coating, the cloth should feel like it is gliding effortlessly across the worktop, if it isn't then the cloth is too dry and will need some oil applied to it, the oil will sink into some parts of the worktop faster than others which will make some area's look "wet", after going over the worktop a second time the "finish" should look the same across the full length of the worktop and the surface should feel slightly oily, not swimming in oil. The first coat of oil will dry very quickly in a few hours or less, the second and successive coats will take longer to dry and may need leaving for 8 hours or more. It is important to re-oil the worktop at regular intervals to maintain the durability of the oiled finish and keep the worktop looking at its best. When the worktop is newly oiled and the surface treatment is in good condition it will have a sheen to it. After a period of time the treated surface will wear and the sheen will diminish and the surface becomes dull and dry looking. In use with a good coating of oil any spilt liquids or water should "bead" and form into globules, it is a sign that the worktop needs another coat of oil when this beading effect starts to disappear and water starts to lie flat on the work surface. A further coat of oil should be applied to the worktop between once every three to six months, depending on usage. Regular treatment of oil like this will keep the worktop looking like new for many years. 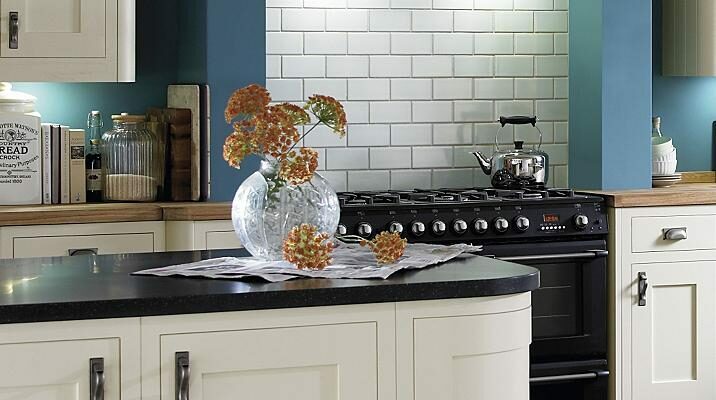 In general a well maintained and looked after worktop will look good for many, many years, however if the worktop starts to show signs of wear and tear and become a little grubby it can very easily be brought back to looking like brand new. Depending on the severity of the wear, the treatment will vary. For regularly maintained surfaces that are just a little "dry" looking, a good clean with soapy warm water first, then, when the wood is completely dry, several thin applications of worktop oil. Do not be tempted to apply a really thick coat as it is nowhere near as effective as several thin ones. If your worktop is damaged, dirty or very badly in need of renovation, it can be sanded down with some fine sandpaper. For larger, more extensive damage/dents etc, coarser paper can be used but then graded down to fine for the final sanding. Any severe damage or dents can be filled with a suitable coloured wood filler and then sanded. Several coats of oil are then applied again as if the worktop was new. Small localised areas of damage such as a ring mark for example can be removed by a very light sanding in that area alone and then re-application of the oil. If the worktop changes colour during this activity and shows a light patch then all that has happened is that you have sanded to bear wood. This area will very quickly go the same colour as the rest of the worktop on exposure to natural light and is nothing to worry about. Worktop oil isn't rocket science. Applying a finish to wood with oil is simple and effective and should be encouraged if not least of all simply because it gives wood a warm, natural and lived in look far removed from the plastic look that spray on modern lacquers give. Tung oil, Tung is a tree found in China and Africa and some South American countries. Danish oil is simply a mix of of various oils such as Tung and Linseed Oil with some additives to aid drying. Teak oil is fundamentally a mixture of various oils extracted from vegetables. It has nothing to do with the wood Teak. Boiled linseed oil and Danish oil are probably the best oils to use, linseed oil can be thinned 50 - 50 with white spirit to aid application and vastly speed up drying time, the white spirit simply evaporates. Another excellent oil to use is Rustin's Danish oil, which is a blend of various natural oils and synthetic resins which provide excellent hardening and drying properties. It forms a very tough seal on worktops. All that is required to clean a hardwood worktop is a wipe down with a cloth dipped in warm soapy water and well wrung out. Always mop up spills of water and other liquids straight away. Do not allow liquids to stand for any period of time. The finishing oil is water resistant not waterproof. Particular attention should be made at the sink area, get into the habit of wiping down the work surface after use at the sink and leave the worktop in a "dry" state. Do not stand wet crockery etc on the worktop and leave for any length of time. Always stand hot, dirty or rough pans on a trivet or pan stand or hot rods. Lengthy prolonged contact with metals such as iron and steel can cause black staining of the timber, this is caused by the natural chemicals in the wood reacting with the metal, so avoid leaving iron trivets standing on the worktop. Always use cutting boards to chop food. Do not cut directly on the worktop. Maintain the oiled finish at regular intervals, you can't over do this, in the past fine furniture was finished with oil alone to give it a lustrous finish, however much time and work is required to reach a gloss finish with oil so this practice has died out mostly.